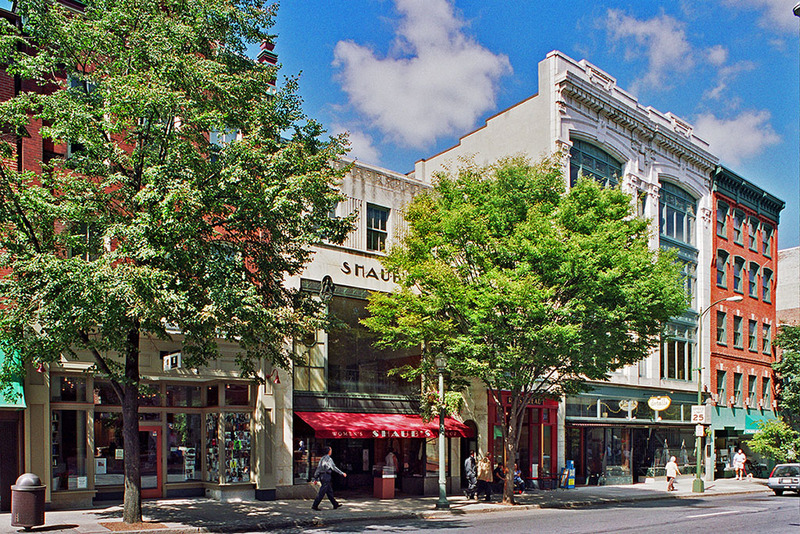 Beautiful storefronts appeal to downtown shoppers and visitors, promising a city that is vibrant and strong. Through the renovation of the North Queen Street Facades in Lancaster, Pennsylvania, the historic beauty and architectural integrity of this city street shine, bringing new life to the busy block and earning our firm a Central PA American Institute of Architects Honor Award. 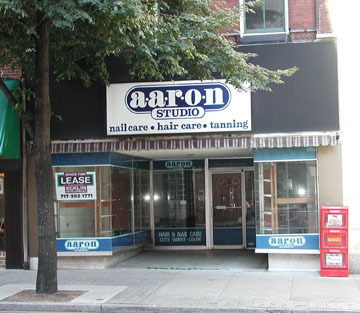 Aluminum and plywood hid the beauty of this 14 North Queen storefront prior to its renovation. Today, 14 North Queen Street turns heads with its beautiful Victorian details. Featuring shapes and design elements from surviving historic storefronts in Lancaster, we used earth tones to blend with the warm tones of the historic clay bricks and lime mortar. 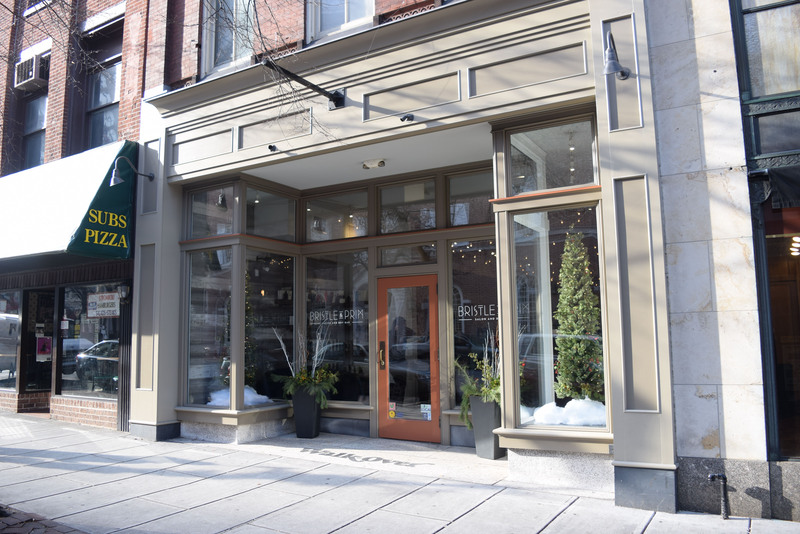 With an original display window rehabilitated as part of the façade renovation project, the storefront on 30 North Queen Street brings artistic energy to the block. 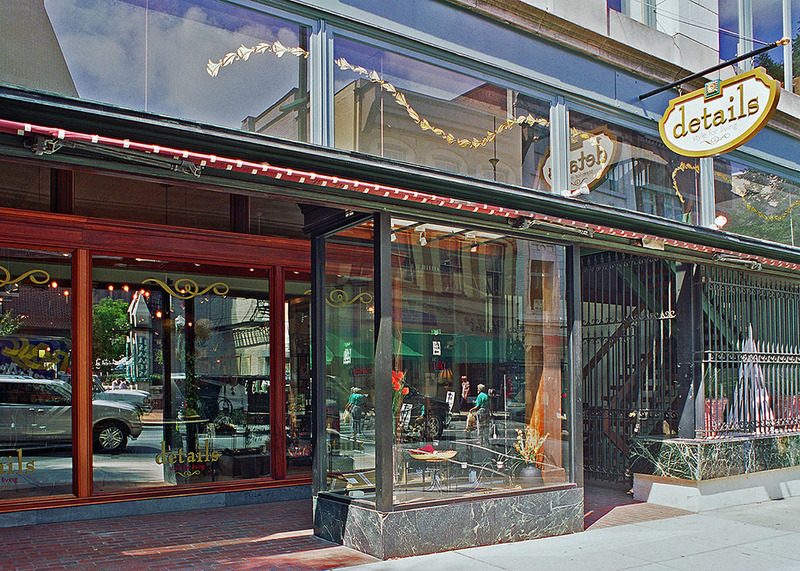 A 1980s box sign was removed to expose the original bronze framed transom windows, and an original display window was rehabilitated, becoming a focal point of the façade. 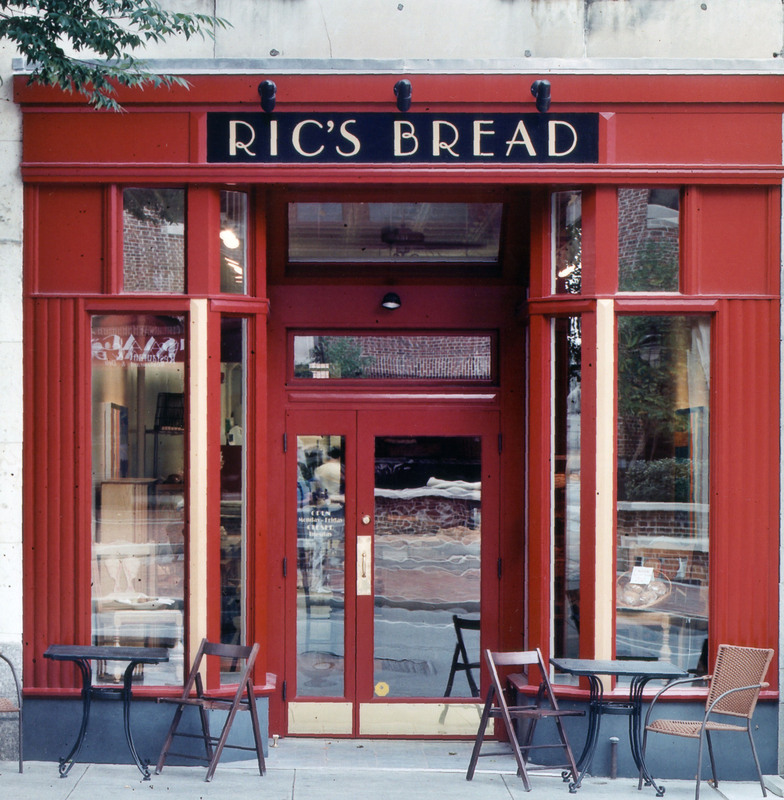 Rich Art Deco colors and sign graphics invite passersby to stop and discover what’s in store. The design fills the original storefront opening, re-establishing the historic interior ceiling height.